Jedi Knight Revan is set to return to Star Wars Galaxy of Heroes on January 31st. The second occurrence of the Ancient Journey: Legend of the Old Republic event, this will allow players to unlock Jedi Knight Revan, the character who has dominated the META of SWGoH for the past 3-4 months. 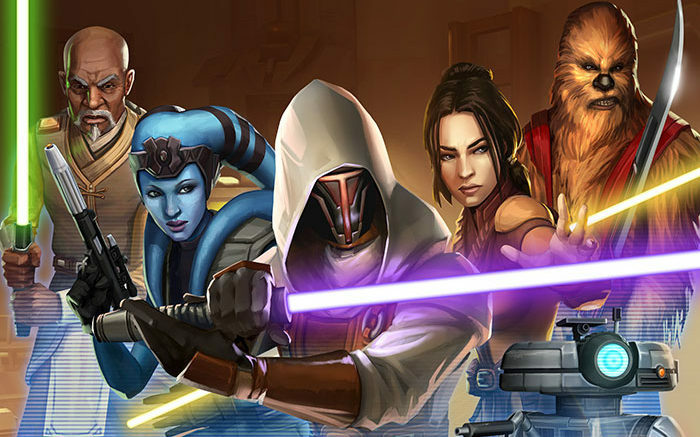 One of the most popular of the many SWGoH events, the Legend of the Old Republic Revan event is challenging and features new enemies in Galaxy of Heroes. Players will need five Old Republic characters to unlock Revan, and may now be able to choose from 9 options as opposed to the 5 we had the first time the Revan event came around. Since the original Revan event the game has added Bastila Shan (Fallen) and Canderous Ordo to the Dark Side and Carth Onasi and Juhani on the Light Side. Given the lack of a leader ability bonus the first time around, Carth Onasi may get some serious play in this event, assuming CG does not force players to use the original 5 OR toons. Gaming-fans.com provided our Live Blog of the Revan Event back in mid-October of 2018, and players can feel free to reference it to see what worked for LJ, our Director of Content. For help modding your Old Republic characters for the Revan event, look to our Best Mods section and as always, once you unlock Revan, be sure to review the Best Mods for Jedi Knight Revan as well. Be the first to comment on "SWGoH: Jedi Knight Revan set to return on January 31st"